Jesse Richman – I have spent the last 13 years kiteboarding and training to go big in strong winds. Training intensity has increased leading up to the event to be in top performing shape. Kevin Langeree – I’ve prepared myself all year for this event but most of the places in the world the wind is not as strong and consistent as here in Cape Town. So I decided to come a little earlier this year to get some more training in before the event. I’ve been working on some new tricks and riding at Big Bay as much as I can to get to know the spot even better. During my training sessions I don’t want to take too much risk cause the chance you get hurt is quite big. So finding a balance between pushing yourself and staying injury free is not very easy. But I managed to find a pretty good way. Sam Medysky – I’ve been spending a lot of time in the gym the past couple of months to help get me into shape for the event and prevent any injuries. I’ve had a few days of on water training here in Cape Town getting used to the conditions and prepping more gear to make sure I have the right setup for going huge. Gianni Aragno – I arrived to Cape Town 2 months before the event, so I can enjoy this place and their people and get my body ready for the strong wind conditions. 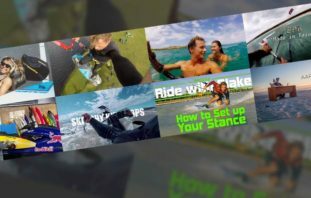 Aaron Hadlow – Before the king of the air I usually have a few sessions to get used to the big air format, this helps train the muscles you use in such extreme condition, your core is important with this type of riding. I also play around with a few sets ups to check what works best for certain moves and conditions. 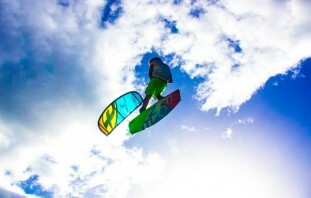 Tom Hebert – I didn’t really kite much this year. It was more about healing from my big crash I had last year here. Sam Light – I arrived in Cape Town 2 weeks before the start of the holding period to get in tune with the conditions here, I’ve also been testing different equipment to see what’s going to boost me the highest! The best preparation is just to go out boosting! What do you think is needed from a competitor to have a chance at becoming King? Jesse Richman – The utmost of confidence and commitment to follow through, it’s one thing to win a heat, it’s another to win five heats in a row against the best in the world on one of the craziest days of your life under pressure with the whole world watching. Kevin Langeree – First of all I think you need to go big thats the main thing about this contest and if you do a great variation of tricks like kiteloops, rotations and board off you should have a pretty big chance to win. Sam Medysky – I think for this event it’s all height. It comes down to gear selection, commitment and a bit of luck with a strong gust. Aaron Hadlow – Good knowledge of competing and a good repertoire of tricks, you have to see what scores well and make your way up the ladder heat by heat. Tom Hebert – For me the king is somebody who can do everything. Kiting is not only doing big kiteloop. You need to be able to variate and please the crowd. Sam Light – I think a lot comes down to the day, any one of the competitors in the competition could go all the way if everything lines up for them. Theres some luck involved when trying to find the biggest wave to jump from, one jump can make all the difference. I think the competitor has to be fully committed to everything he’s doing and you can normally tell by the crowds reaction. Do you have any special equipment choices for this type of event? Will you use boots or footstraps for example? Jesse Richman – I’m riding stock Naish Torches as there is nothing that loops like a torch, riding the Naish Dub 132 which is smaller than normal for me but less board makes it easier to hold on to more kite. This year I’m also going to be riding foot-straps because it’s a lot safer and more versatile, boots are awesome but can be dangerous to do kite loops with as I found last year. Straps seemed to work out just fine for current King Kevin. Kevin Langeree – I’ve been working very closely with Naish this last year and we made some great improvements in the Torch. 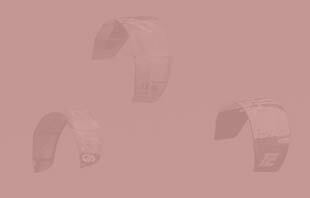 We gave it a stiffer profile which makes the kite a lot more stable and better to control in high winds. With this change I feel very confident in taking out a big kite in strong wind and jumping high with all the control. I will ride footstraps cause it’s kinda hard to do a board off with boots. Sam Medysky – This year I’ve decided to take longer lines for the event which is different from my strategy last year. At the moment I’m going to wear foot straps as this allows for more moves in the air and the ability to kick the board of in case of a serious crash. Aaron Hadlow – I am not sure what setup I will go with yet. It all depends on the judging format and briefing before it starts. Tom Hebert – I ride straps to be able to take my board out of my feet. Use long lines and big kite to get height. Sam Light – I’ve been testing different equipment and line lengths, there is always compromise but I’m getting closer to the perfect setup. I haven’t decided whether to use boots or footstraps yet! Its a tricky decision I need to make ASAP. How will you psych yourself up for the event mentally? Jesse Richman – This year I’m going into it to have fun, I’m not too stressed or worried about it. Whatever happens happens so might as well have a good time and enjoy it! Kevin Langeree – There is such a big crowd on the beach with so much energy and good vibes that they will psych you up. Sam Medysky – Some good tunes and feeling the vibes from all the other riders on the beach. Gianni Aragno – Focus on not to destroy my self in the first jump, and from there on, let it go and have a great time on the water, keep it smooth and do a great show. Aaron Hadlow – I just take it as it comes. I take it seriously of course, I am competitive and the conditions demand that, but it is one of those events that you can never predict so I don’t get caught up or disappointed with a bad result (like I would in other competitions). The format is usually so open that anyone can take the win depending on condition and what the judges deem to score most. I treat it as a show where I try to show what I personally think is the definition of big air. We will see where that takes me. Tom Hebert – I’ll think about all the tricks that I know and enjoy that’s is the most important. I’ll try not to end up at the hospital this year! Sam Light – I like listening to music, I will make a special playlist for the event and actually listen to music while on the water. Plus a few cups of tea on the morning of the big day and I will be ready to go! What’s the best thing about KOTA for you? Jesse Richaman – Watching the sport grow, evolve and get pushed to new heights on one crazy day. Kevin Langeree – The best thing about this event is that it really showcases what kiteboarding is all about. I’m sure most people got into this sport because you are able to do huge jumps. 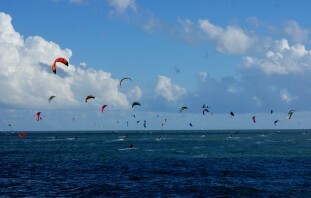 Also riding with the best 24 big air kiters in the world at Big Bay is something magical. Sam Medysky – On the global scale it the biggest event in the world. 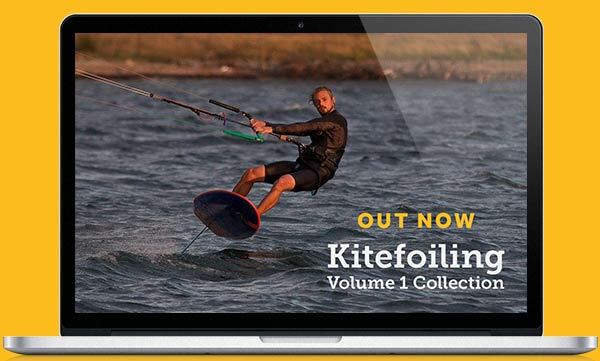 It displaces what most people love about kiteboarding. Massive jumps and extreme action. Gianni Aragno – To meet old and new friends and how people enjoy watching and discover the sport in perfect conditions. Aaron Hadlow – The best thing about the event is the show that gets displayed, the excitement is unreal and unlike anything else in the sport, each rider is really individual and their array of styles and types of moves makes for a great show. The atmosphere really is amazing. Tom Hebert – I like to push the old school tricks side of the sport. Go big and stylish. The event site is nice because it’s like a natural amphitheater and there is so much of a crowd I love it! Sam Light – How it pushes the riders to jump higher than they ever have before. If you weren’t already excited, I bet you are now! The event waiting period for the biggest day of wind starts this Saturday 31st January – bring it ON!